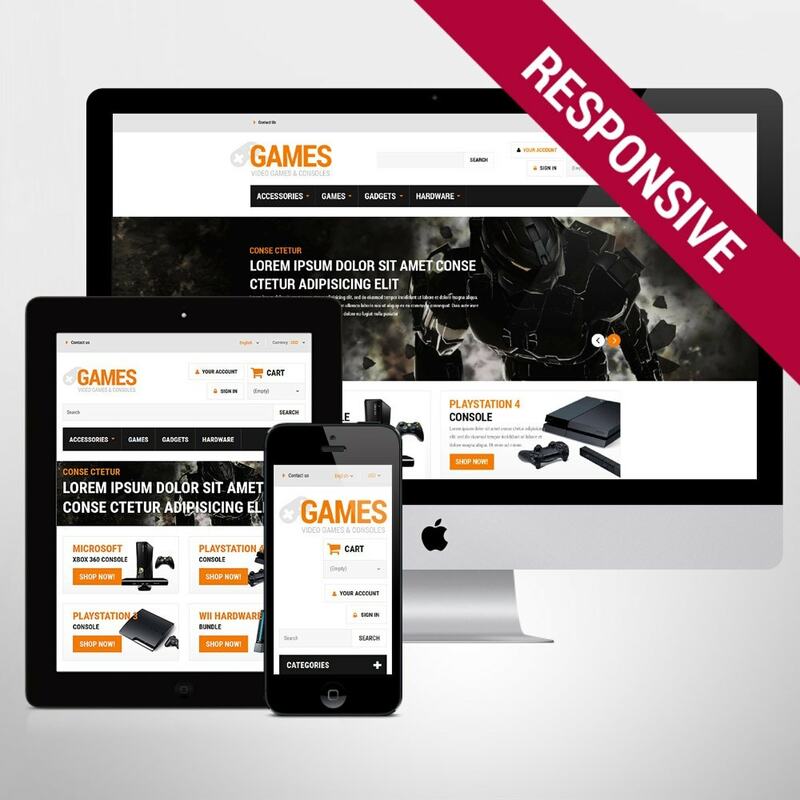 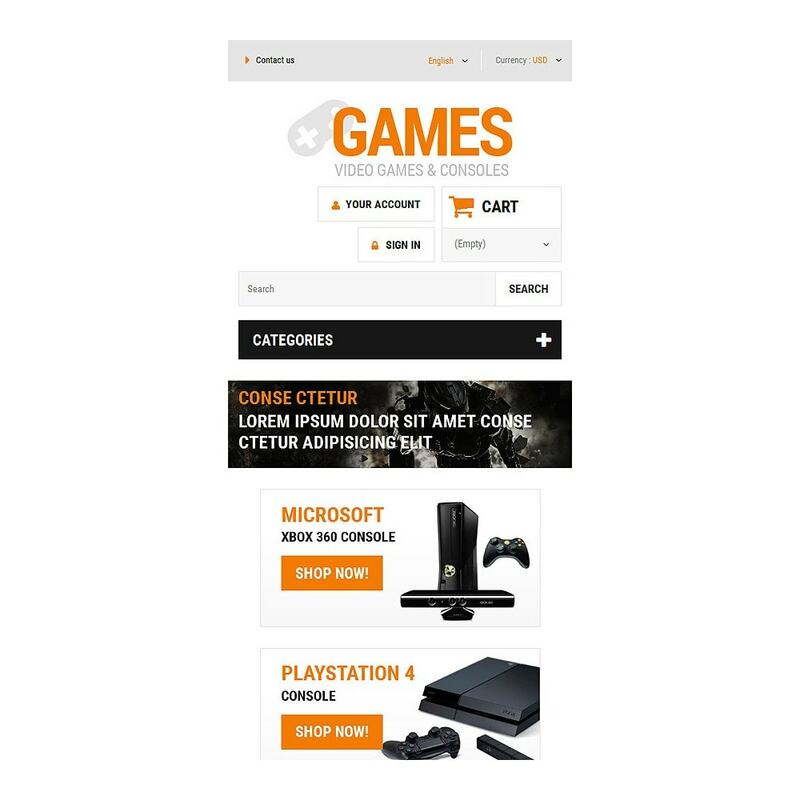 Consider this Video Games PrestaShop Theme to bring your video games and consoles store live. 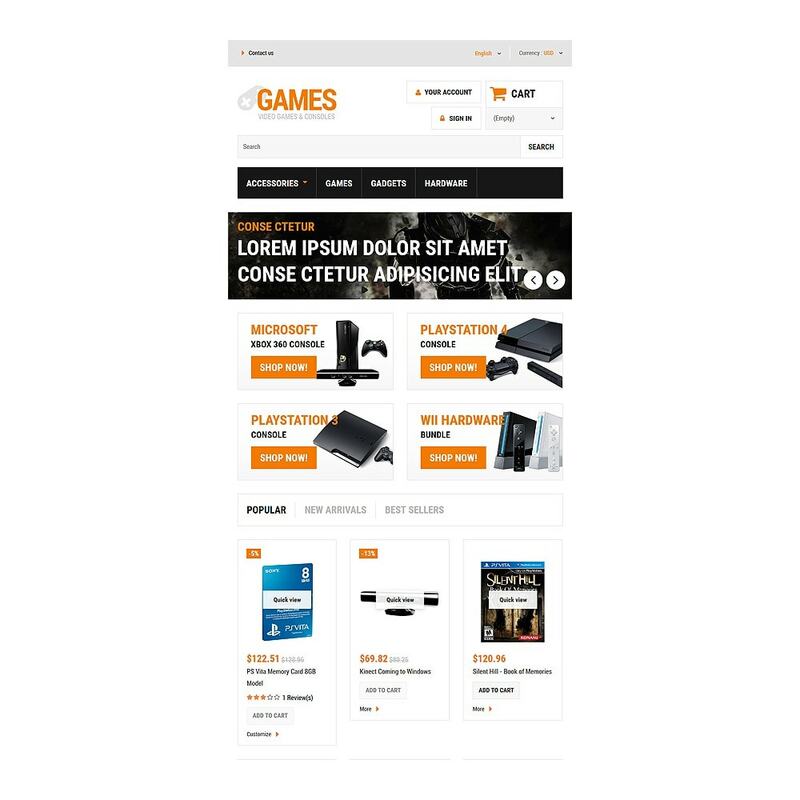 It has all those features that you might need for building a solid online presence, including fully responsive layout with parallax effect, cross browser compatibility, list/grid category view, and product labels. 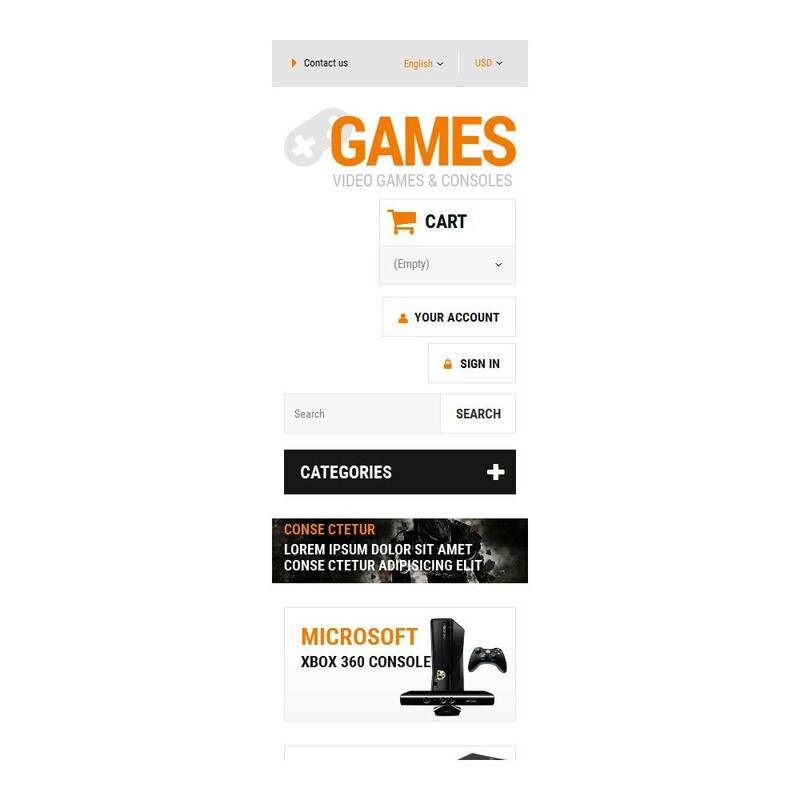 The theme’s fullscreen design with its Carousel slider will make your ecommerce site look more spectacular and improve usability. Tag cloud, live search, dropdown cart, and categories menu facilitate navigation. Your store will be more accessible to online shoppers thanks to this SEO-optimized template. 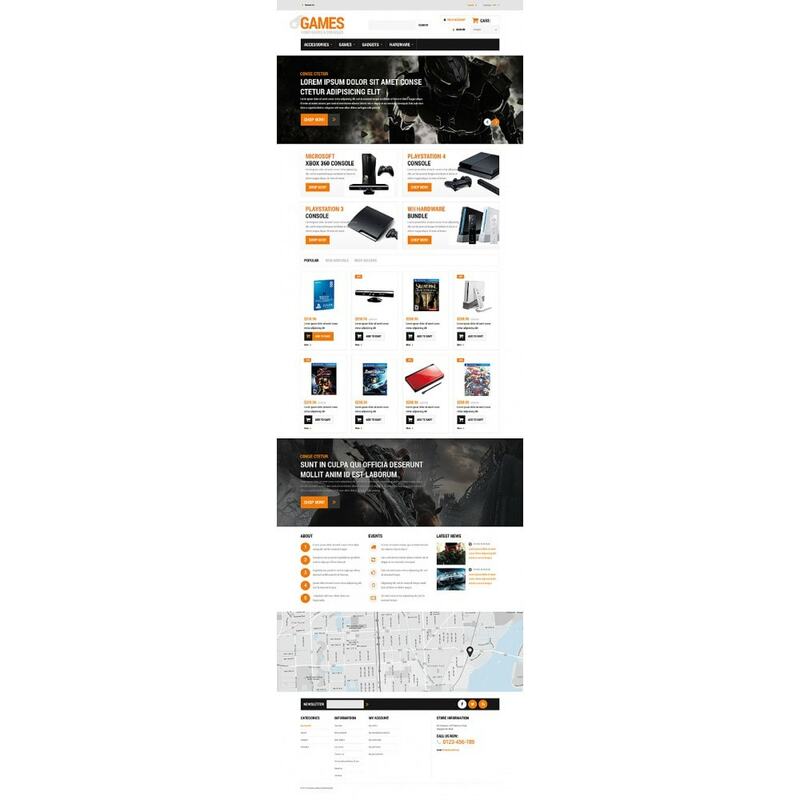 It is well-documented and easy-to-use. 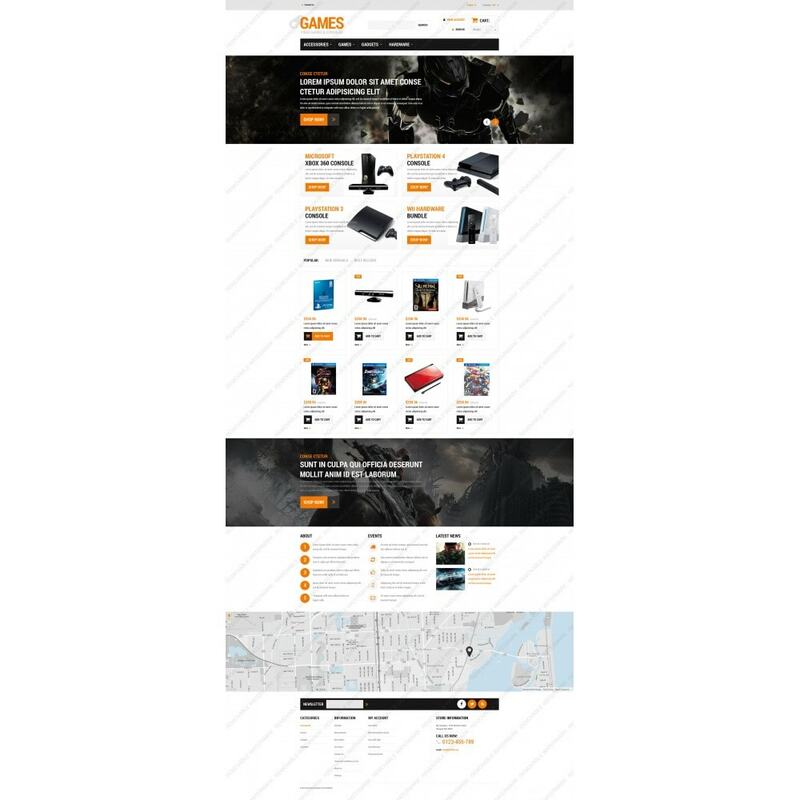 The theme perfectly fits games, electronics, sport, and cars stores.